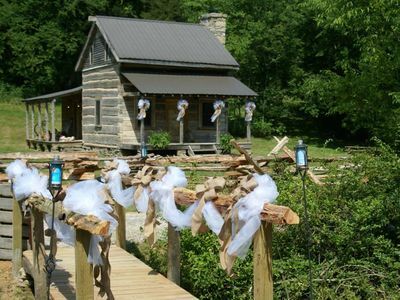 Just an hour south of Nashville but away from it all, this charming log cabin features all the modern comforts in the Tennessee countryside. 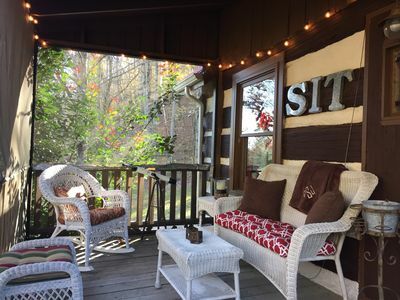 Roaring fires in the stone fireplace, exploring nearby Lynnville or Franklin, reading on the screened-in porch, ballgames on the satellite HDTV, or just relaxing in this beautifully decorated retreat, no matter how you choose to spend your time, you'll feel right at home. 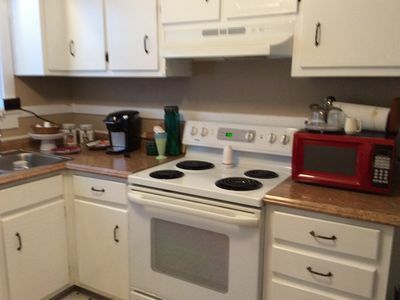 Please note that the property DOES NOT have internet - we are working with VRBO to remove it from the list of amenities (this is a VRBO technical glitch). Unfortunately, broadband internet has not yet reached our rural retreat. The ground floor master has a queen bed with premium linens and a bathroom with a jetted tub. The main floor has a newly redecorated twin room and a pull-out couch in the great room. A shower-only bath and modern kitchen, as well as access to the porches complete the main floor layout. The top floor is a loft bedroom with a queen bed, our favorite place to sleep when we have a fire in the fireplace! 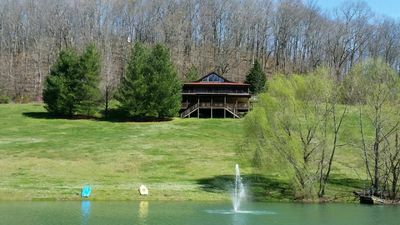 Situated on 11 private acres with a small pond, a stream and a barn, you'll be surrounded by farms and wooded hills. The quaint town of Lynnville is 10 minutes away, home of Colonel Littleton's famous leather goods store and the Soda Pop Junction. Historic Franklin is 35 minutes north on I-65. The cabin get its water from a spring, so we provide bottled water for our guests who are staying for up to a week. 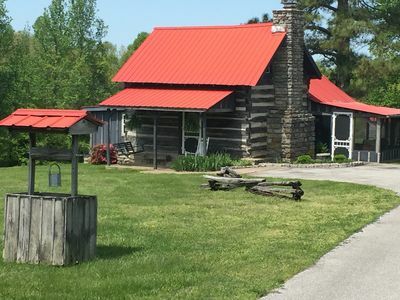 Log Cabin - Sleeps 8 in Beautiful Hunt Country! 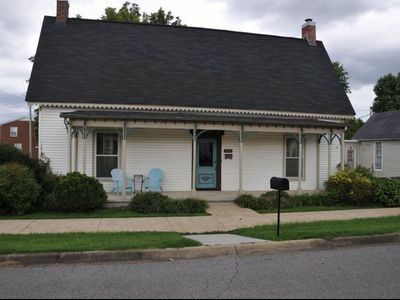 Downtown Victorian in Pulaski - Walking Distance of Martin Methodist College!